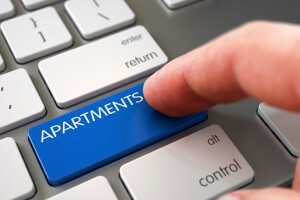 Why Aren't You Getting Tenants For Your Rental Property? Finding the right tenants is always a hassle, and this doesn’t really come up in conversations when you’re starting to rent out property. It seems like such a good idea–renting out that extra space or property in order to make more money. However, this isn’t an idea you can rely on. Finding the right tenants is always a hassle, and this doesn’t really come up in conversations when you’re starting to rent out property. Putting aside all the annoying paperwork and funds it will take to start renting, you could run into the issue of having no tenants at all! If you don’t have customers who are looking to pay rent, you could be having a few of these very common issues. Even if you’re charging the bare minimum, you might still be marking the price too high. Oftentimes, people equate surroundings and amenities with quality. Why would someone pay your rent if they can get a fitness center and a pool with their apartment, where they pay the exact same price? Odds are, if you’re struggling for cash, you can’t provide your tenants with many luxuries. High prices can drive away tenants quickly. If you need immediate funds from renting out your property, you probably don’t have the ability to advertise to the fullest extent. If you don’t advertise, you won’t have clients. It’s as simple as that. Online listings are not enough to draw in tenants, especially when you have no amenities. You may get a few offers, but more often than not, these tenants won’t be great choices. Checking someone’s credit is a very important part of renting out a property and getting paid on time. Chances are, an online listing is going to draw people who can’t find property to rent due to their poor credit. When you decide to be a landlord, it’s a full time job. You need to be available at all times to answer phone calls and emails, and you need to conduct property tours. You can’t charge for this extra time, and if you can’t answer potential tenants while you’re at work, you’re going to lose them very quickly. It’s an extreme risk to drop everything to become a landlord. It’s better to sell your property instead, and The Team Edge can take it off your hands. The Team Edge can buy your unwanted property for cash, ensuring you get the money you deserve! This entry was posted on Friday, April 7th, 2017	at 6:27 pm	and is filed under Blog, Landlord Tips . You can follow any responses to this entry through the RSS 2.0 feed. Both comments and pings are currently closed.